Allow me, if you will, to recount an important lesson my dad once taught me as a teenager, following an unwelcome interruption during a computer session. "Chris," he began, gently, "as exciting as staring at a screen with one hand on the mouse can be, you just can't beat the feeling of getting the real thing beneath your fingertips". 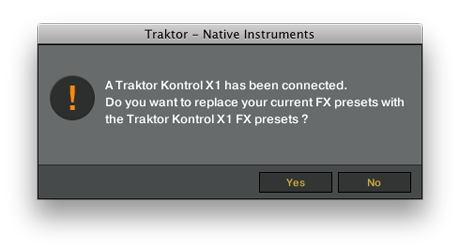 I was, of course, using Traktor, and he was right. NI's increasingly bold steps in the hardware arena all fall on the same principle – that whilst software design frees the product designers' visions from the restrictions of hardware, tangible control is an important aspect of performance equipment; creating integrated solutions is the future. The Kontrol X1 is a slab of controls with a specific goal: to make interacting with your favourite DJ software (especially if that software is Traktor Pro) more easy and more fun. I spent some time taking it through its paces to see whether it succeeds. Size wise, the X1 is a nice fit between (or alongside) a turntable or CDJ and a mixer, and the included USB cable should be long enough to allow connection to most orientations of laptop. Its height helps it sit just right along a laptop or other MIDI controller, and for those with decks and a mixer, the carry case (sold separately) doubles as a spacer to place the X1 at the perfect height. There's also a handy spindle hole in the underside of the unit which allows you to plonk it on a turntable platter, at a pinch. As for the feel of the unit itself, I've nothing but praise. It's light but sturdy, and its brushed metal fascia is sleek and sufficiently up-market feeling. There are two types of knob; the majority are 7 o'clock/5 o'clock pots with a central detent, which are complemented by four rotary encoders. The pots are smooth and the detent is just about right, easy enough to feel for a quick reset but not so defined that it causes annoyance during a frantic control-wringing session. The encoders are larger and have a subtle clicking action which aids accuracy, as well as a push switch function which I haven't yet activated by mistake. The buttons on the X1 are interesting, using the soft rubber ala Maschine's buttons, but with a firm click when they get depressed. This marriage of two styles lends the buttons a number of advantages. The rubber is translucent and allows the backlight to glow through its entirety, facilitating a finger's path towards it under poor lighting. The feel of the rubber itself is more grippy than plastic, helping to ensure you can remain in control during a button bashing frenzy. And of course, the sturdy clicking action of the button leaves the user under no illusions as to whether the button got pushed or not. The spacing of the controls of the unit is expertly designed. Everything feels like it's got room to breathe, although the hot cue buttons aren't really ideal for an extravagant cue point juggling routine. 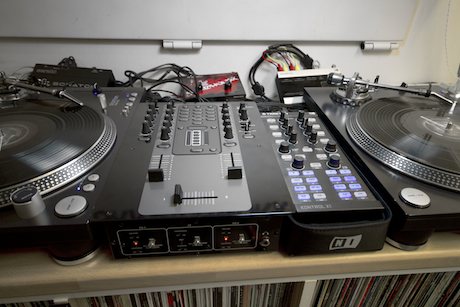 Oh, and feeling flush and itching to control all four decks in your Traktor Pro? If you so desire, plugging two X1s in is just as simple as one. NHL may be a familiar initialism, but NI have appropriated it as Native Hardware Library (and had I even the faintest idea about ice hockey, this piece would be a great deal more pun-laden than it is), and it provides a direct, high resolution link between NI hardware and software. At around four times the resolution of MIDI, it gives controls a smooth feel, and allows for advanced visual feedback. It's not middleware, but a direct interface that functions specifically between NI kit. This means that MIDI implementation is entirely separate, and the two modes can be switched between by holding shift and pressing the hot cue button, at which point the hot cue button glows a nuclear green. 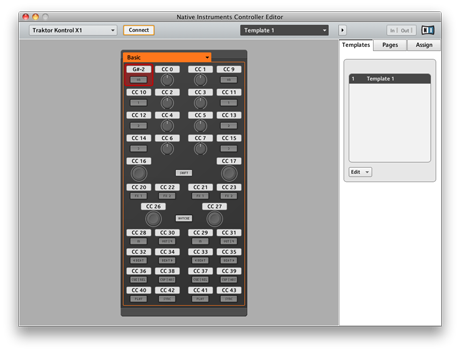 If you own any other NI hardware, you'll likely be au fait with the Controller Editor, a handy, powerful, and very easy to use tool for configuring the MIDI map of your box. MIDI editing is done with the Controller Editor, whilst NHL mapping is done directly within Traktor via its controller mapping options. NI have a dedicated X1 mapping section on their site, with mappings for various applications and uses designed by the Kontrol X1 product team as well as those uploaded by fellow users. 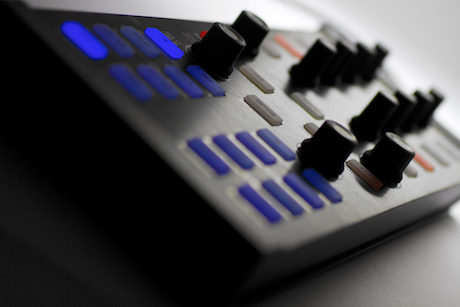 The X1 was created primarily as a Traktor interface, and its control layout is designed as two channel strips with controls for effects, loop and cue, and transport. By default most of the controls (effects section excluded) have a second, or even third, layer, which is activated by either holding or toggling the shift button (to your preference) or activating hot cue mode for the buttons at the bottom of the unit. 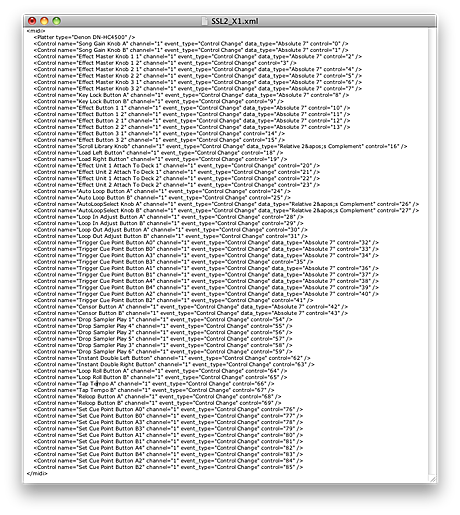 Generally the X1 manages its multiple personalities without a hitch – 1:1 mapping is great and all, but it would compromise either the layout or the unit's size to get this amount of control any other way. 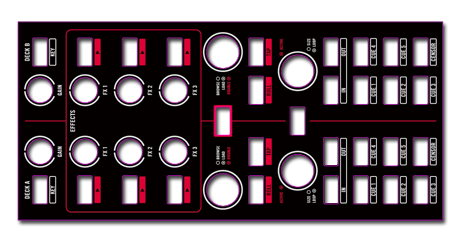 The effects knobs and buttons provide, by default, a direct interface for the effects in bank one and two no matter what effect is selected (although there is a default delay/reverb/filter chain which is written on the unit's fascia and upon plugging in, Traktor will ask if you want to switch to it). There's also a rotary encoder with switch function tasked with setting loop length and activation, empowering you to stutter to your heart's content. Browsing and loading is done via a rotary encoder on each channel, which is great for enforcing that all too important mental connection between the real decks and the virtual ones to minimise the danger of the 2010 equivalent of lifting the needle off the wrong record. The nitty gritty of play, cue, seek, sync, and beat jump are controlled by the buttons, and depending on whether you have vinyl control mode selected decides whether two of the buttons are in charge of cue and cue play or switching from relative to absolute vinyl control. Deck master and snap are switched on the second layer – beneath the FX on/off buttons, as are scrubbing controls – underneath the loop knob. By default, the layers are logically arranged to cater best both to DJs who use the X1 to append their DVS with effects and creative track mangling and those who are interested in using it as the main apparatus to fine tune their mix. 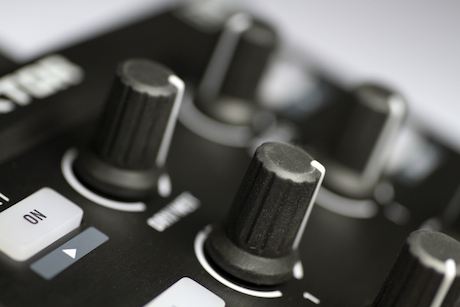 Traktor's ability to beat grid, and use that beat grid for super tight beat jumping and syncing, is picked up on well in the X1's design, and the markings on the buttons make it very easy to use for these features with zero memorisation required. 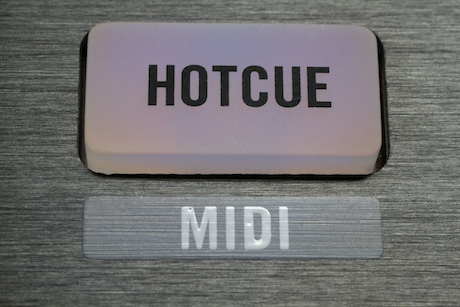 Hot cue mode is activated by a dedicated button, at which point the blue buttons switch to the hot cue layer, adding/triggering cue points or deleting them by holding shift then pressing them. As previously mentioned, if hot cue juggling is the lifeblood of your performance style you'll probably find greater companionship in another controller. That said, the buttons are still fine for a juggle here and there – and whilst hotcue mode is an either/or option with regard to the transport and manual looping controls, in practice there's rarely a time I felt I needed immediate access to play/cue or seek buttons whilst using hot cues anyway. All that said, the X1 is a totally reconfigurable device. Most people will already have their favourite effects for a start, and I chose to reassign the wet/dry knobs to mixer level filter control to gain an extra effect for 'free' and utilise effect three and four as Beatmashers, reassigning the loop controls to control them to gain that Scratch Live favourite 'loop roll' effect. 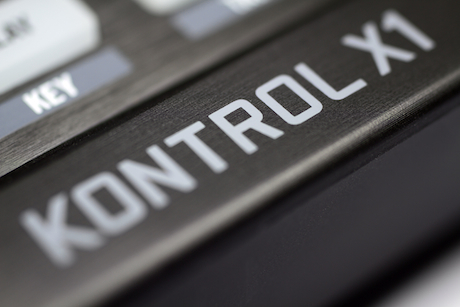 If you want a second layer to control deck three and four then no problem – but consider also that the Kontrol X1 is designed to play nice in multiple instances – plug two in for plug and play control of four decks. If, in your quest for reconfigured rapture, you start to get confused as to what your assignments actually are, it might be a good idea to use the NI provided control template. It drops over the fascia and allows you to decorate it to your heart's content, without defacing the sleek looks of the unit itself. Indeed a filled in layout template is included with many of the .tsi and Controller Editor files to allow you to get busy straight away (just as soon as you've transcribed the words onto your blank template… or printed them off and cut the holes out, of course). NI aren't stupid, and know that closing the door on the huge amount of Scratch Live users out there doesn't make sense – they've added, in the box, a Scratch Live 2 overlay and a NI developed configuration for it. A simple drag and drop of a file and you're away. 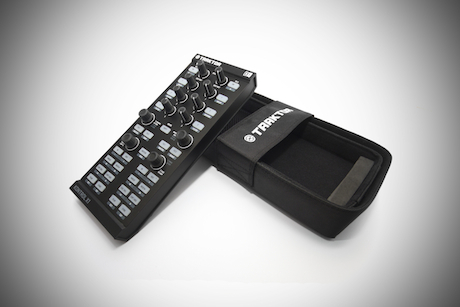 Similar in as many ways as possible to the default Traktor design, the top layer of controls acts almost identically for the majority of the device – assigning and activating effects, browsing, loading and loop controls are all the same. Shift mode switches the effects knobs and buttons to sampler mode, with trigger and volume control, effects assignment become loop roll and tap tempo, and track loading instant double. 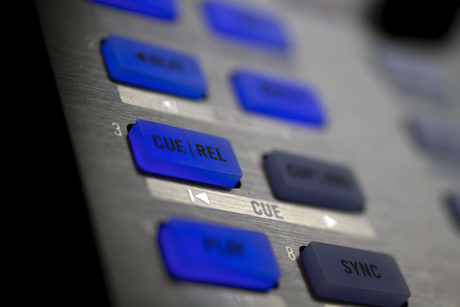 The redundancy of the wet/dry and on/off buttons at the top of the X1 give Scratch Live room to add gain and keylock, and the more streamlined DVS only nature of Scratch Live also mean that the blue buttons have a single function as cue point triggers (with delete as the shift layer). Because of Scratch Live's five cue limit, censor is available as the sixth button. It all works very similarly to the Traktor implementation, and the ease of use of the Controller Editor should allow any software that play with MIDI to be set up the same way without much hassle, if you can't already find what you want floating around the NI user library or elsewhere online. Of course, only Traktor gets to take advantage of the high resolution of the NHL interface, the rest of the pack having to make do with standard 7 bit MIDI. Competition comes in many forms, and the X1 is sufficiently expensive to catch inevitable criticism about its cost per control compared to pretty much any other controller on the market. The three most valuable things about the X1 are its build quality, its ergonomic design, and its visual feedback. 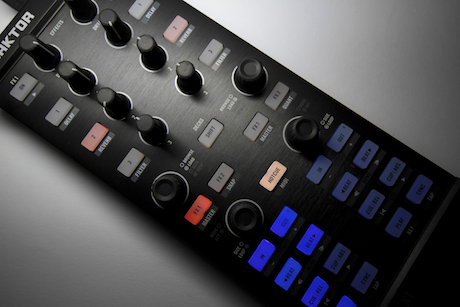 Whilst something from Korg or Akai's miniature controller range approaches the amount of controls for a quarter of the X1's asking price, they feel like children's' toys in comparison. 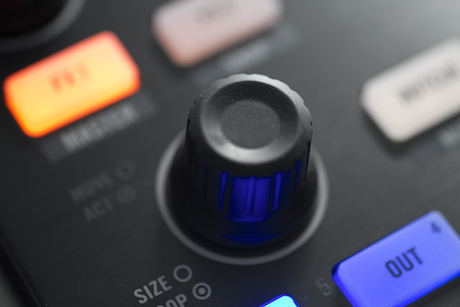 Perhaps Novation's Remote SL Zero MkII offers vastly more controls for a similar cost, but it's not especially DJ friendly – the X1 slots in easily between decks and mixers, and its buttons and knobs are all perfectly suited to the type of nimbleness that's required mid set. Its biggest competitor, in this regard, is Allen & Heath's (slightly more expensive) Xone 1D. Similar in many ways, different in many others, the X1 has a slightly more manageable ergonomic design, if less variety in its controls. The X1 is a bold decision by NI, as it quite brashly assumes it knows best in a market where a major element is customisation. Whilst customisation is of course entirely possible, and aided by blank overlays, the markings on the buttons could be a little confusing to someone totally altering the layout – and the price definitely represents the effort that has gone into the device's design. Brilliant. NI's trademark tough plastic with a metal fascia makes for a light but rugged piece of kit, with excellent quality knobs and buttons. Buttons galore, and practical mix of pots and rotary encoders. NHL is very accurate, and MIDI editing is simple. It's a professional quality addition to a DVS or digital DJing setup, and treated as such it's money well spent. The bottom line? 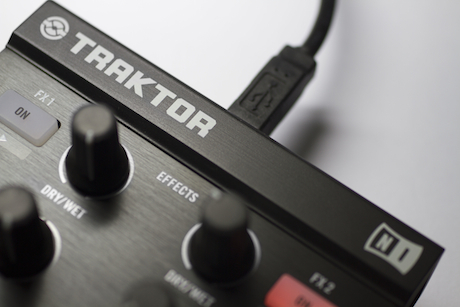 A Kontrol X1 (or two) is a fantastic addition to your existing setup – and all the better if that setup revolves around Traktor Pro. For what it's best at, it's superb; providing specialised controls for oft used functions, which liberates your workflow from the just-checking-my-email aesthetic of using your laptop's keyboard and mouse, and allows any other controllers' mappings room to breathe. Essentially, it's more of an assist player than a star forward… is that a hockey analogy? I give up. Nothing special - just quick and nasty. Just how you like them apparently.